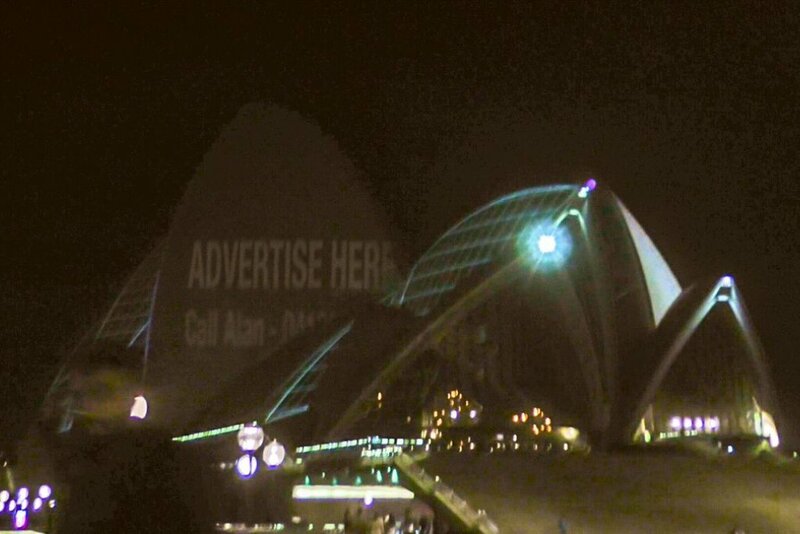 The team at The Chaser have responded to the controversy over the use of the Sydney Opera House as an advertising tool by projecting the phone number of conservative broadcaster Alan Jones onto the building’s iconic sails. The NSW government is facing a growing backlash this week after it ordered the Opera House to display a promotion for Racing NSW over the objections of the building’s caretakers. When Opera House CEO Louise Herron appeared on Jones’ radio show and expressed her concerns about turning the World Heritage site into “a billboard”, Jones shouted at her and said he would personally call NSW Premier Gladys Berejiklian and demand that Herron be sacked. Enter The Chaser, who in the early hours of Tuesday morning drove down to Sydney Harbour and projected Jones’ phone number along with the words “Advertise Here. Call Alan” onto the Opera House for all to see. In a video of the stunt posted on their Facebook page, the comedians can be heard trying to talk their way past a security guard, telling him “Alan called your boss … it’s all fine”. The team also projected their message onto the fronts of the NSW Art Gallery and NSW Parliament House. Because hey, why stop at selling out just one national landmark? More than 238,000 people have signed a change.org petition calling on the NSW government to reverse their decision. 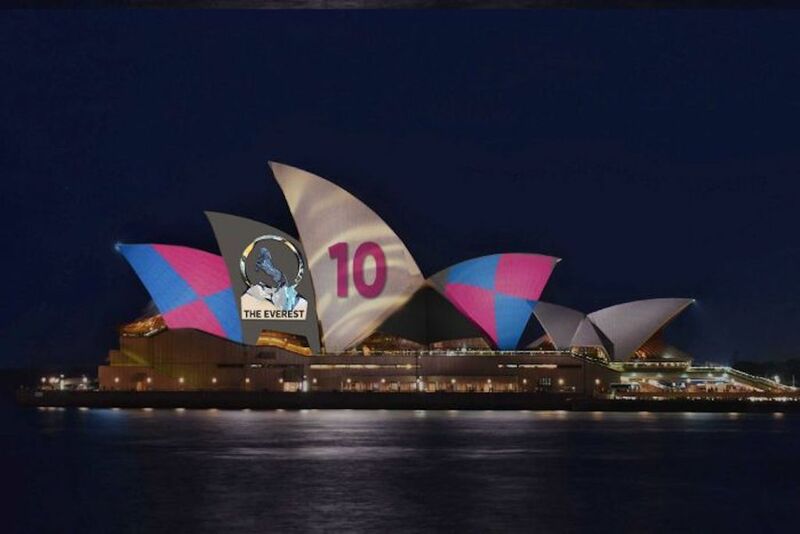 The Racing NSW promo is set to appear on the side of the Sydney Opera House on Tuesday evening.